ItemF-00901 - James Brown, bunkhouse with cookhouse behind; Wingdam. ItemF-00903 - Wingdam BC; showing the wash where No. 1 shaft first flooded. ItemF-00905 - James Brown and No. 1 shaft; Wingdam. ItemF-00951 - First life saving award; Gibson's Landing; given by the Duke of Connaught. ItemD-06774 - Double loop, Canadian Pacific Railway, Selkirk Mountains. ItemD-05444 - Double loop, Canadian Pacific Railway, Selkirk Mountains. ItemF-03713 - Aurora claim, Cariboo. ItemF-03715 - "Old Seasalts"; Wates, Lowther and Eastcott. 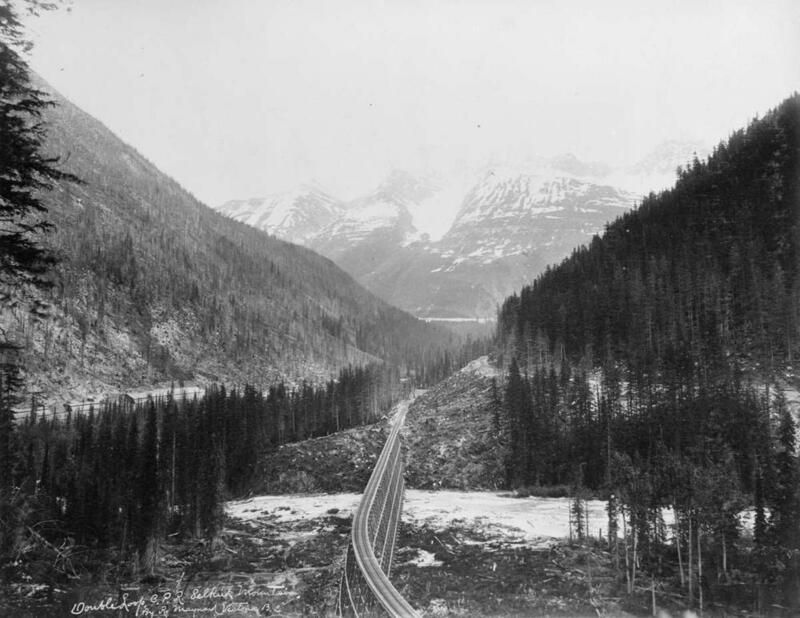 Item D-06774 - Double loop, Canadian Pacific Railway, Selkirk Mountains. For Maynard photographs relating to the Canadian Pacific Railway construction in British Columbia and Alberta in the 1880s featured in photographic albums, see MS-3328 - Photographic View Album by R. Maynard, Artist.